The Patricia offers one- and two-week voyages while on her regular tours of duty, maintenaning the buoys, lighthouses, lightships, radio and radar aids for navigation. The exact nature of work at certain times cannot be guaranteed, but the Trinity House (General Lighthouse Authority) promises a fascinating, relaxing and comfortable voyage. For the busy ports on the South Coast and ships passing along and crossing the most dense traffic in the world, focus on the safety of navigation is critical. The Thames Estuary also has some of the largest ships transiting, with fishing, wind farm, offshore oil and gas exploration as well as general trade in the area. Maintaining the shipping lanes is of the paramount importance. This means that channels have to be closely scrutinised, depths surveyed and the positions of buoys verified regularly to ensure the maximum channel width and depth. 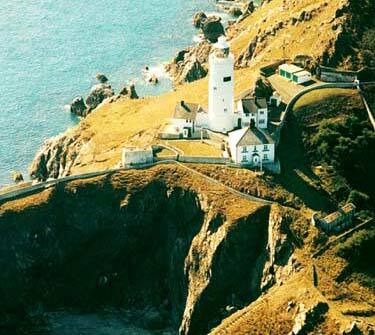 The West Coast offers a different perspective with dramatic cliff tops, tempestuous seas and strong tides. In the deeper water around the Bristol Channel there is a lower population of buoys, but more lighthouses to mark dangerous off-shore rocks, such as Eddystone, Wolf Rock and Bishop Rock. "I booked up for a departure last October. Having been told earlier that Patricia would be working the scenic west coast, it was slightly disappointing to learn that embarkation would be at Harwich. 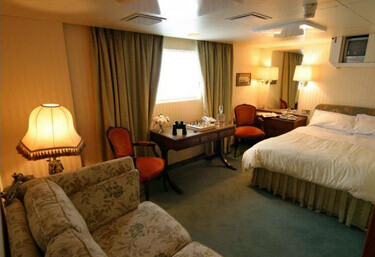 But then came a pleasant surprise: I had been upgraded to Cabin No.1, one of the two staterooms. 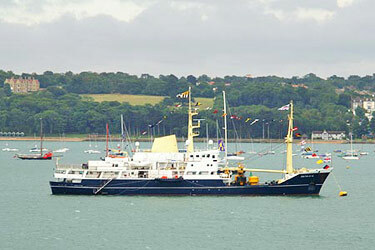 It is occupied by HRH the D of E when he comes on board, while HM has Cabin No.2. It seems that Patricia now doubles as the Royal Yacht, and is requisitioned e.g. for Cowes Week (photo on the left) or fleet reviews". High quality accommodations include ample room on board to relax or to work. Passengers have a dedicated lounge that opens up onto a promenade. The dining room also serves as a conference and meeting facility seating up to twelve. 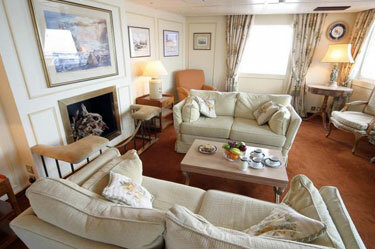 Six double bed cabins, each with ensuite bathroom, are individually designed for maximum comfort. All cabins are equipped with satellite television, tea- and coffee-making facilities, a trouser press as well as computer and email links, and each offers a view on the ocean. To make a reservation, please print, complete, scan or picture and email back the Registration Form below, indicating your preferences. When we confirm holding a cabin in your name, a deposit for 25% of the fare would be required by a bank transfer (we’d provide bank details), or by check payable to Maris USA Ltd. in USD (copy via email, we’d process it electronically).